1A Garland and Turpen moved up from second place on day one to take the lead on day two. They earned top honors in the CUSA Classic and took home the $50,000 Ranger Boat package. 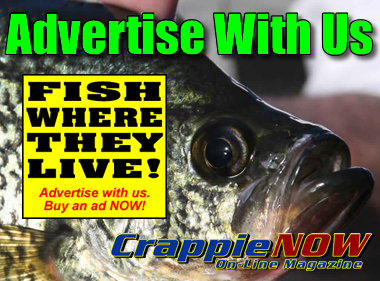 Mother Nature delivered tough fishing conditions to crappie anglers competing in the 2018 Cabela’s Crappie USA Tournament Trail (CUSA) on Lake Cumberland. Recent rains had swollen the lake to high levels and the water was falling rapidly going into the two-day tournament. Anglers were challenged by the falling water level and higher than normal water temps. 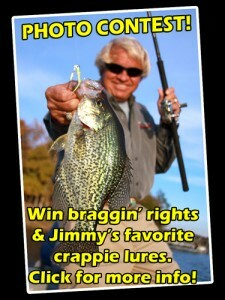 Prefishing crappie anglers mostly reported a tough bite. “This is the toughest bite I have fished in my 33 years of tournament fishing,” said Steve Coleman, eight-time national classic champ. The weather was mild in the mornings and steamy hot in the afternoons. A heavy fog did not lift until about 8:30 each day. The higher than normal water temperatures caused tournament director, Darrell Van Vactor, to advise anglers to use all precautions in caring for the fish. He recommended having a needle ready to “fizz” the fish if necessary. 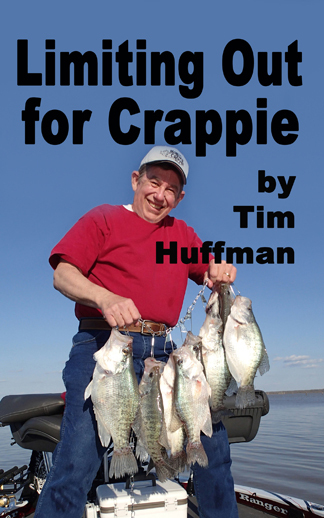 A majority of anglers expected to find the crappie deep due to the water temperatures. Those that fished deep used single pole, vertical jigging techniques in water ranging in depth from 20 to 35 feet. Although the technique was successful for many anglers, it presented a true challenge to keep the fish alive when landed from the deep water, confirming Van Vactor’s expectations. Light spinning tackle was all that was needed for the winning team’s cast and retrieve method. The winning team of Ben Garland and Barry Turpen, local anglers from Nancy, KY, fished the way they always do, cast and retrieve. Many tournament anglers have turned to more sophisticated multiple rod techniques to cover more water and hopefully catch more fish but those methods did not prevail at the Classic. 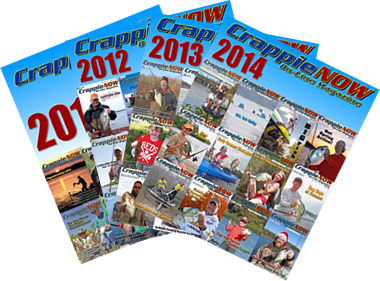 Also, where most competitors were fishing deep water, Garland and Turpen were targeting early fish in shallow water. 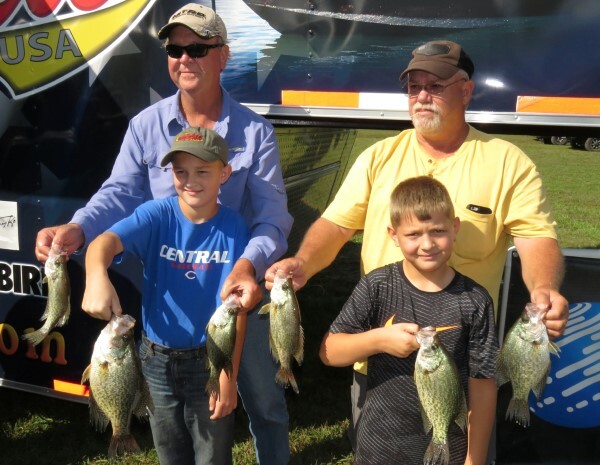 Their strategy proved to be effective and they caught 30 to 40 fish during the weekend event. A little deeper investigation uncovered the reason for Garland’s statement. He had a winning story of his own. 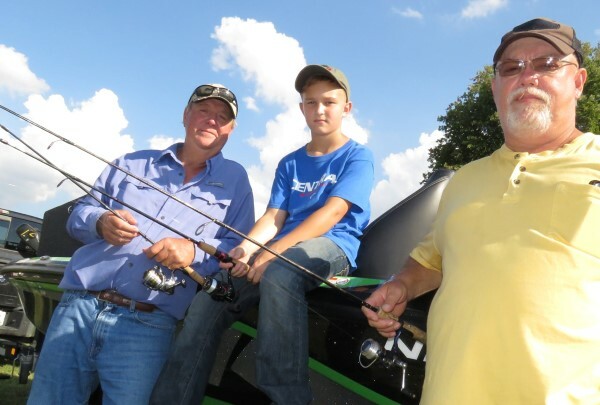 In the first place, his grandson, Nolan, had fished with them on day two. In his mind that was better than the win. Secondly, his current state of health is a victory over leukemia. 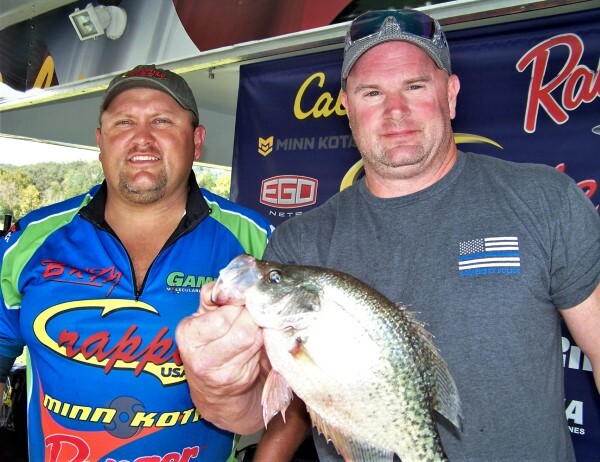 Chris Creech and Rodney Stevens were tied for Big Fish after day one with this 1.81-pound crappie. 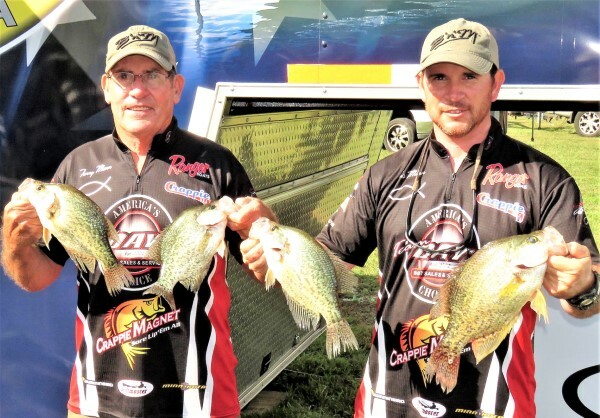 The second-place team of Chris Creech and Rodney Stevens also relied on shallow water fishing for their success. They moved around targeting fish in different locations. They found fish in Fishing Creek, Pittman Creek and on the main lake. Creech and Stevens were one of the few teams who found fish shallow and they were quality fish. They held the Big Fish lead after day one with a 1.87 pounder. They used Bobby Garland jigs in Monkey Milk color under a slip bobber to catch fish over structure on the bank in two to five feet of water. Then, after catching the shallow fish, they would let the jig sink to 10 to 15 feet of water and target deeper fish in the same structure. The technique landed them about 30 fish over the weekend. Kris and Terry Mann, Mt. Sterling, KY, finished fifth in the Classic and won the Angler Team of the Year for 2018. They caught their fish deep on jigs. Kris and Terry were among those anglers that lost fish that could have made a difference in their finish. The warm water temperatures were taking a toll. Kris had some advice for anglers fishing in similar warm water conditions. Sometimes it requires extra effort to keep the fish alive, especially if they are caught in deep water.